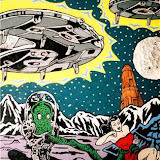 Steve Stones’ art piece, The Incredible Spidora, is the actual study for the larger painting, which can be seen at The Carnival of Chaos, on Riverdale Road. It’s time for the 38th Annual Statewide Competition Exhibition! The exhibit will be held at the Eccles Community Art Center, located at 2580 Jefferson Avenue. Stones entered his piece, The Incredible Spidora, because it references carnival circus themes and has a fun, nostalgic quality. Stones also entered his work entitled, The Figi Mermaid, which is from the same series, and he felt the two paintings would compliment one another. 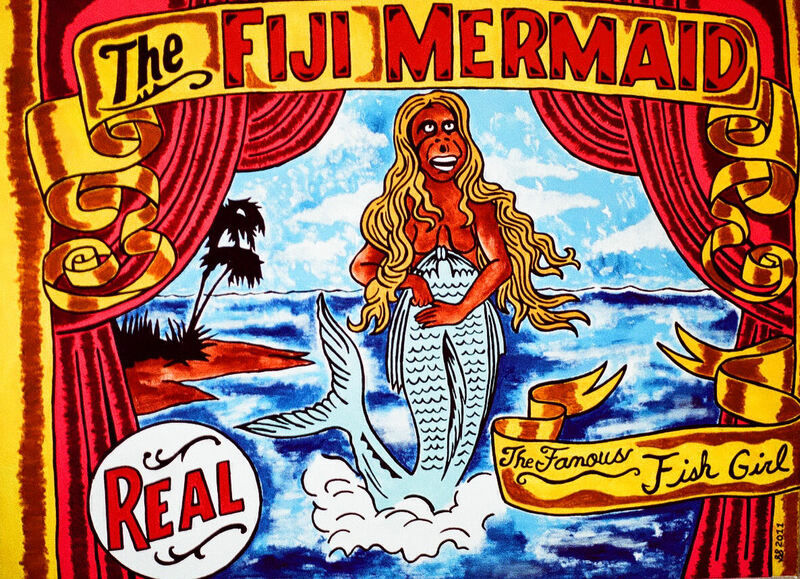 Although The Figi Mermaid wasn’t accepted into the competition, the artwork was a favorite among many patrons of the Ogden Arts Festival, which was held earlier this June. Steve Stones’ piece, The Fiji Mermaid, was a popular item of discussion at the 2012 Ogden Arts Festival; however, didn’t make it into the 38th Annual Statewide Competition Exhibition. The 38th Annual Statewide Competition Exhibition can be seen from July 2 through September 1, and an opening reception announcing the winners will be held at the Art Center on Friday, July 6 from 5-9 p.m.